What type of startups and projects do you take? We work with startups and incumbent businesses in various industries from Healthcare IoT to Construction, Human Resource SaaS, GPS, Smart Homes, Social, and more. Our team has overlapping engineering skills that enable us to swiftly build iOS apps or create automated software systems for embedded legacy software systems. You name it, we can do it. *This means that how a product is developed becomes less of a function of its technical capabilities and more a function of the utility it provides to your customers. BetaBulls is the only global dev team that provides startup software development as a service that knows and fully understands Lean Methodologies and builds with them in mind. What is The Lean Startup , and The Lean Methodology? What started off as a book by Eric Ries has grown into a startup movement. With self organizing meetups in 94 Cities & 17 Countries. It’s become a standard for startups to get their products online first as bare-bones prototypes and immediately begin testing them. It’s now part of the Harvard Business School curriculum along with many other colleges and universities. It's what helps enable BetaBulls' low price on delivering MVPs. See TheLeanStartup.com and the Wikipedia article on The Lean Methodology. The book is included in either of our packages. "Your idea can be the one to make the world a better place! We help you bring your startup to life." Learn more here. Why find a cofounder team and not just hire a freelancer? Freelancers will build exactly what you tell them to and you must tell it to them in an exact way. If you do not have your idea completely documented, much time will be spent communicating the idea to the freelancer along with communicating changes/tweaks as the product is being built. As seen in the Forbes article linked in the first FAQ, on average BetaBulls is less than half the cost of using a freelancer or another company (See FAQ 2 for why this is). Pricing structures with freelancers on larger projects like building a MVP are usually hourly or flexible and so your time communicating the idea and changes costs you money whereas with BetaBulls, our pricing it a flat, stable rate. We specialize in getting your MVP online for testing/feedback and initial sales. We are your startup software development interim CTO or startup freelancer. Even more importantly than the points above is that we are experienced mentors with many startups behind us already. We do not blindly build any product idea you tell us to. We provide you with feedback and insight into the process of making your idea into a potential success. We share wisdom and war stories from our pasts that got us to where we are today. Everything we do is in alignment with the Lean Methodology meaning even if you were handing us the cash for a full product, we wouldn’t take it. We know from experience that every product idea needs to be tested as a MVP to be given a fair chance at success. We’ll build your full product after we graduate your idea through this foundational step. why find a cofounder, CTO, or developer for my idea? Developers are in high demand. Probably the single most in-demand job type around right now but they are out there. To get them to join your startup is another story. Elizabeth Yin shows with surveyed data from real developers that they are many more times likely to join a project once the idea is validated. This means making your idea attractive with traction metrics which you get from testing a MVP. Read Elizabeth's article "Why you can’t find a technical co-founder" to see why a MVP is crucial for attracting a quality developer to your team. How is Beta Bulls MVP for Startups different? Beta Bulls employs a large fully dedicated team of Software Engineers and Lean Methodology experts and entrepreneurs who have helped many startups get their feet in the startup world! We have built countless of mobile applications for non-techie entrepreneurs. What if I already have an app or software built? That’s perfectly ok! 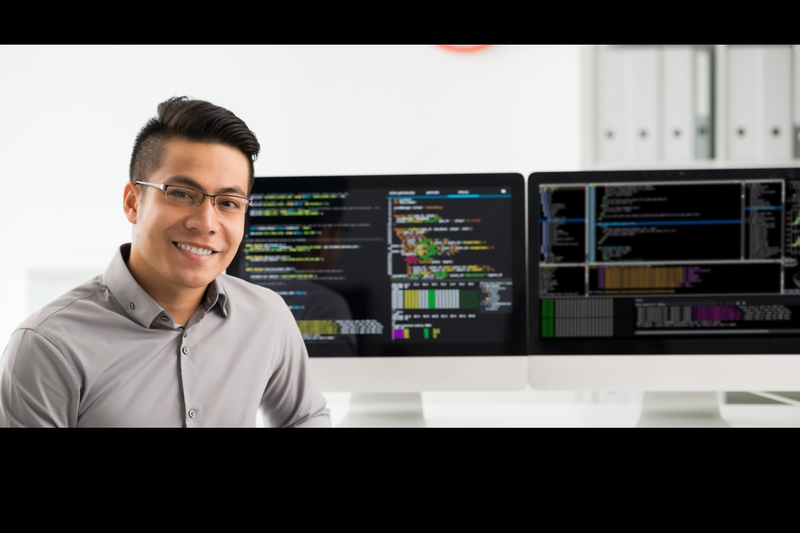 We are hired regularly by small to medium sized companies who have previously built software systems and are now in need of upgrades or debugging. It happens, we are here to help you as well. How many startups do you join and work with on a regular basis? We work with various startups but we always make sure that we have no conflict of interest working with similar ideas, we have our teams work separately on projects as well which adds to our quality and commitment to your success. Do we accept projects on a equity basis?